Breathtaking waterfront condo in False Creek. 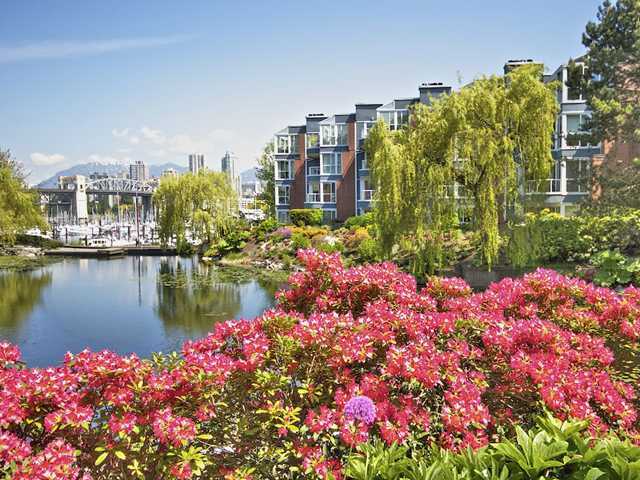 This 1,000 SF one bedroom and den condo offers an incredibly bright, open, airy layout with new hardwood floors and appliances, and tasteful updates throughout – all facing out to a stunning view of water, flowers, and weeping willows. The serene, private 250 SF south-facing patio is one of a kind!